Benefits: Protect your home and family from expensive losses; ensure comfort during extended power outages. 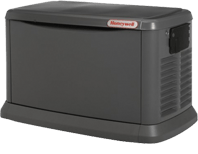 Consider it when: You want to protect the key functions of your home systems during power losses (refrigeration/freezer, heating/cooling, well pumps, sump pumps, aquariums, garage doors, light circuits, etc.) or you’ve experienced expenses associated with the lack of back-up power during storms. Your HB McClure Comfort Consultant will work with you to identify the best system to meet your needs. Benefits: Protect your family and pets from the silent killer – carbon monoxide. Consider it when: You are concerned about the status of carbon monoxide levels in your home or you use any fossil fuel for heating, hot water or cooking. Homes with wood stoves and fire places (wood or gas) should also be monitored. NSI 3000 Carbon Monoxide Detector – The National Safety Institute Model 3000 protects all age groups, especially infants, the elderly, highly sensitive people or ill people. This model alerts you of a problem before levels become dangerous. Often, this is when other systems just begin to work. that can result from a major surge (and the headache associated with related insurance claims). 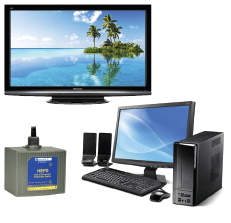 Consider it when: You are ready to protect the expensive electrical investments in your home such as big screen TVs and computers or you live in an area that is prone to severe electrical conditions. Square D #HEPD80 Whole House Surge Protector – Designed to deliver surge suppression for the entire home. This model installs externally to any load center. HVAC equipment fails, generally when you least expect it. Even worse is when you’re financially unprepared for expensive repairs or new system replacements. Gold Shield Comfort Agreements from HB McClure can help protect you from unexpected equipment failures, expensive repairs and high call-out fees. Our annually-renewing preventive maintenance programs are designed to stop problems before they start, keep systems running at peak efficiency and prevent the need for expensive repairs. When systems are running well, they also draw less electricity thus reducing your utility bill as well. A Comfort Agreement provides peace of mind. HB McClure’s plans are affordable, flexible and comprehensive. We cover far more than most other service providers in your area. For heating only or cooling only systems. Includes one annual tune-up visit. Learn more. Includes two tune-up visits (twice per year). Ideal for combination heating/cooling systems. Learn more. With this parts/labor protection plan, HB McClure will cover the parts and labor for repairs to your system for the terms of the agreement. You no longer need to worry about facing large repair bills. Conditions apply. Learn more. Download HB McClure’s Saftey and Protection Systems brochure.